Just Around the corner! 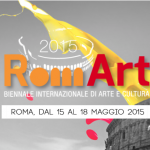 May 15th- 18th 2015 RomArt begins. 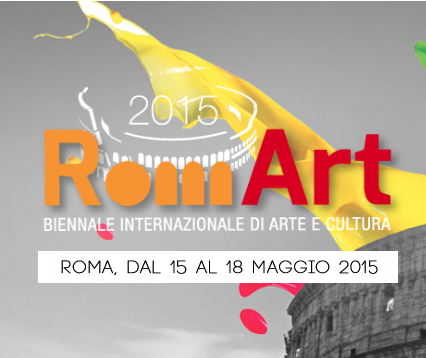 Manss Aval has been invited to participate at the upcoming RomArt 2015 International Biennial of Art and Culture of Rome Fair. The event will be hosted May 15th through May 18th. The Artist will join in this collaborative Art Exhibit in it’s very first year, accompanied by hundreds of art lovers from all across the globe. The event has strategically been placed in the very largest Mediterranean capital, Rome, where the streets and very air one breathes emanates rich culture and famous history. This prestigiuos event will host a variety of artwork in categories ranging including works of Painting, Sculpture, Graphics, Photography, Video and Digital Artwork and Artistic Expressions of the artists selection. All artists invited to attend this grand event have been carefully selected by the Scientific Committee of the RomArt International. Visit RomArt here on their website to learn more about this event. To see Manss Aval’s art, visit ManssAval.com . The Artist has been creating amazing pieces of work for years now and has been featured all over the globe for his talented art work.